She named this series in her collection "Anastylosis" , meaning the reconstruction of ruins to their original form. Through careful study, Northfield Visual Artist and St. Olaf Professor of Art Mary Griep recreates some of the world's most sacred spaces in massive drawings done to scale. Mary tells us about her process and why some of her pieces take years to complete. 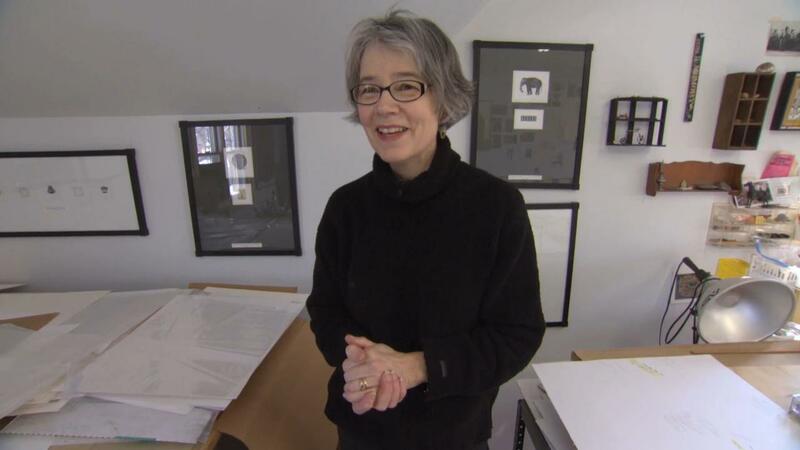 Mary Griep is visual artist and professor of art at St. Olaf. She is currently focusing on mixed media 2D illustrations of churches, mosques and other sacred architecture. Some of these pieces stretch more than 30 feet, yet retain her trademark high level of detail. Her art has been exhibited in the US and internationally. [caption id="attachment_608" align="alignright" width="220"] Click above to see more images from Mary Griep[/caption] ARTIST BIO Mary Griep is an associate professor of art at St. Olaf College in Northfield, Minnesota. She received a BA with honors from Macalester College. Her work has been exhibited nationally and internationally including the Chang Mai Contemporary Art Museum and the Navy Pier International Art Expo in Chicago, Illinois. She has received numerous awards including one from the Minnesota State Arts Board and the Jerome Foundation. Her current work focuses on mixed media 2d illustrations of churches, mosques, and other sacred architecture. These pieces are fairly large; 5ft plus, some are landscape-format stretching for more than 30ft. The depiction of the buildings is very tidy and controlled, with a high level of detail. Mary Griep recreates sacred spaces in massive drawings done to scale.